Porkchop in Glenwood has been on my mind lately since it's been a year since their opening, so when I found myself passing through town, I decided I'd stop for lunch. On my last visit I'd tried the elote. 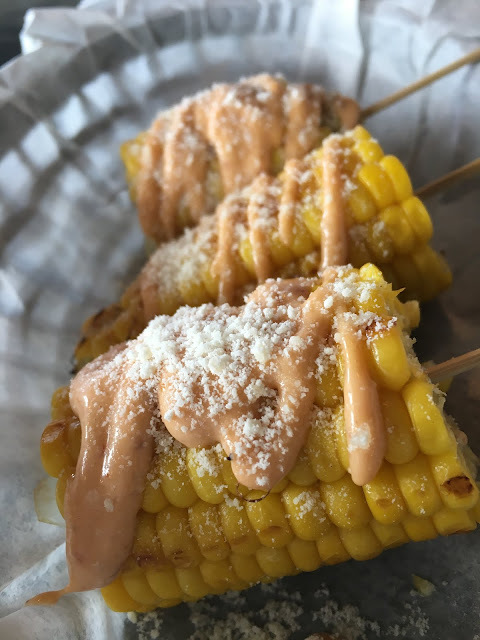 Elote is just one of the best foods ever and I was excited to see it on the appetizer menu. Their version has a little twist - it has chipotle mayo drizzled over it with parmesan cheese. 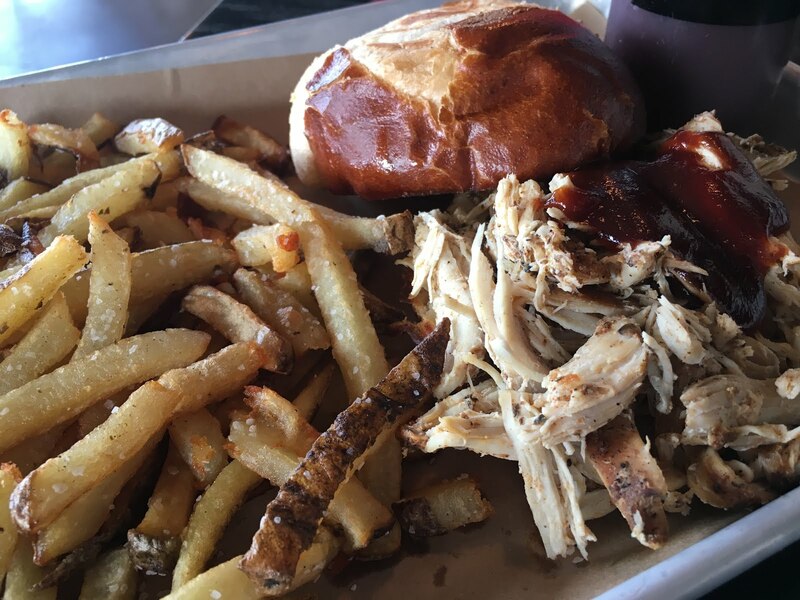 With it I ordered a pulled chicken sandwich - one of my favorite items on the menu. It comes with Damn Good sauce on it and it was served with fresh-cut fries sprinkled with sea salt. Good stuff. 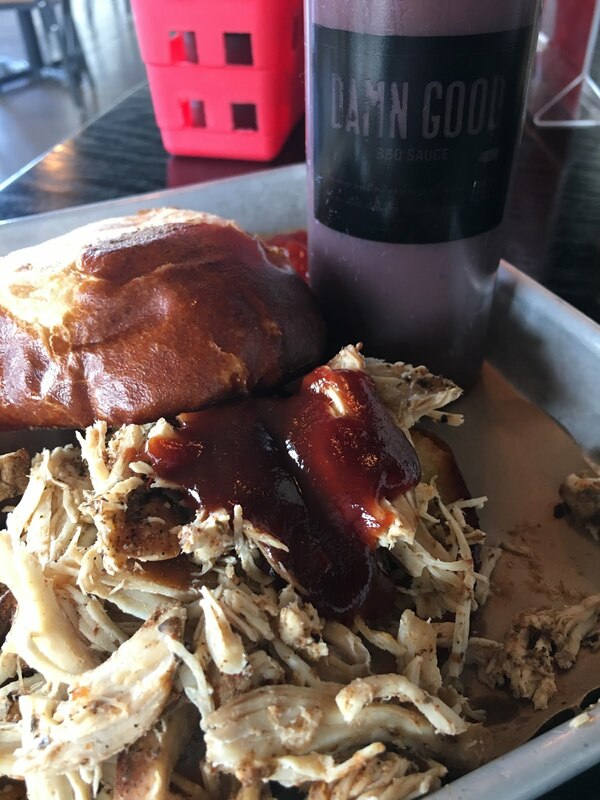 I'm so glad that this BBQ and Southern food spot made it's way to the south suburbs. Happy 1-Year Anniversary to them and I look forward to many more meals there.